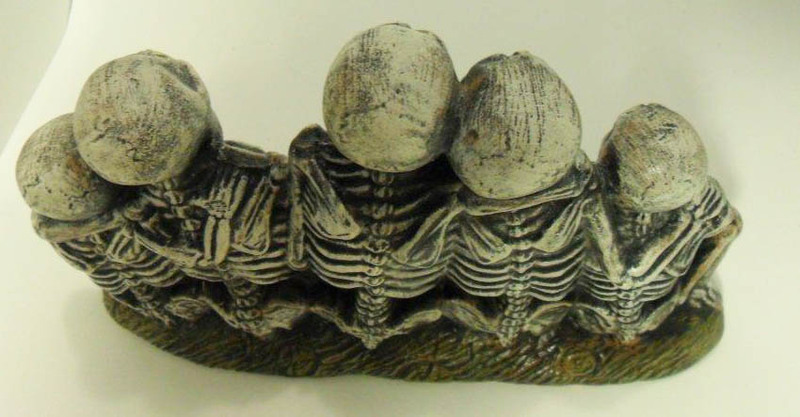 Ceramic hand painted row of skeletons. 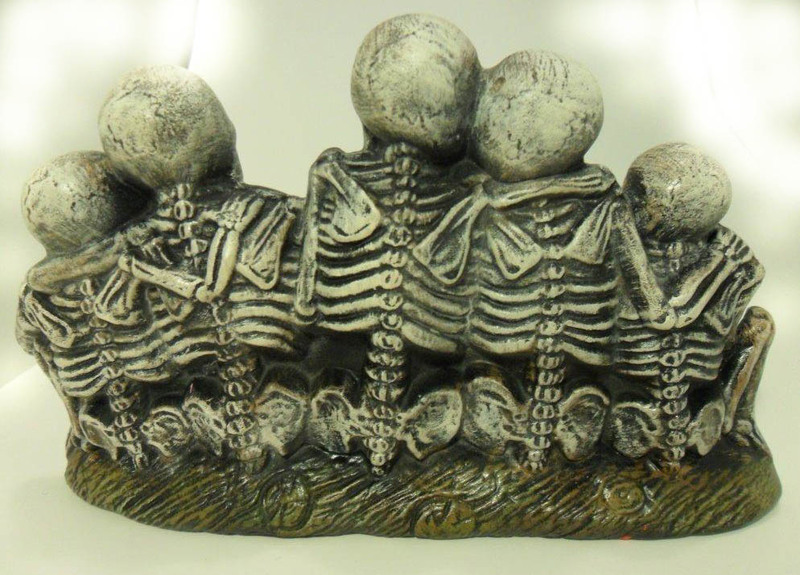 The front of the ribs are painted with glow in the dark paint for that perfect creepy effect. 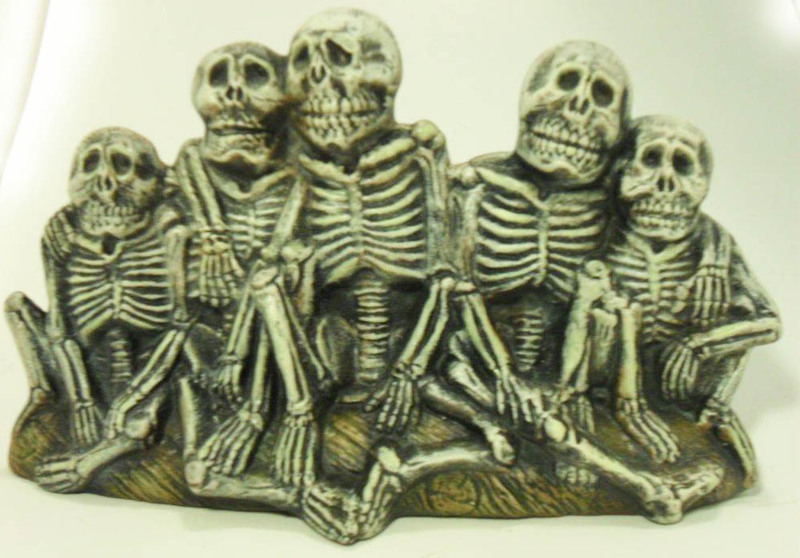 Makes a great Halloween decoration. A matte finish is applied so that the piece can be cleaned easily with water or diluted cleaner. **This item is hand made from start to finish in my shop. We pour the mold, sand the item of any imperfections, fire in one of our studio's kilns. 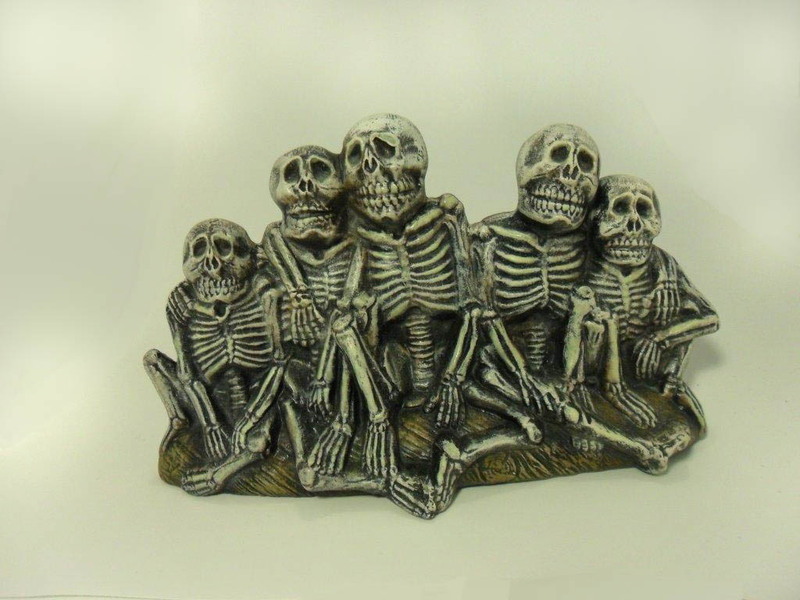 Finally I paint the skeletons using acrylic paints. 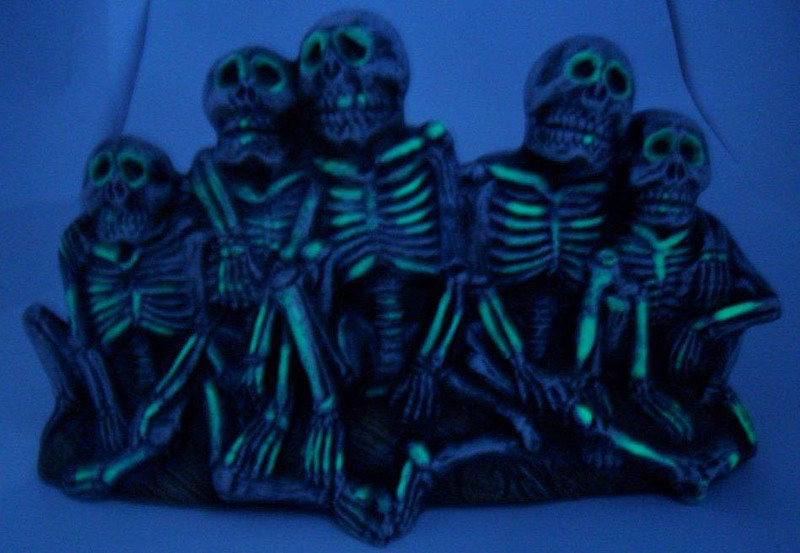 Glow in the dark paint is added strategically to the ribs for an added spooky touch.